Veiw or download a larger chart, click here. Download the complete set of charts, click here. North & East Please notice; this chart is placed with north as down and east at the left. The reason for this is to show the Plan of Salvation in the Sanctuary in a timeline. 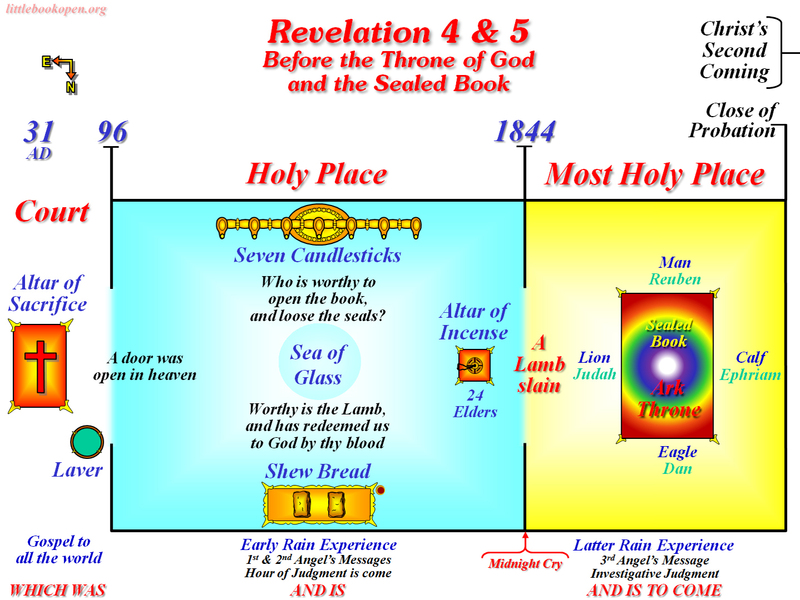 In the study of the Heavenly Sanctuary service, I see a unique timeline which effects very much so, the events on earth. The Heavenly Sanctuary service starts with the literal fulfillment of Christ as the Sacrifice for sin in 31 A.D. and ends after the cleansing of the Heavenly Sanctuary just before Christ’s Second Coming. I will shew thee . . .
A door was open . . .